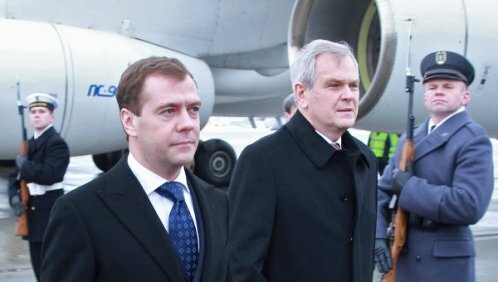 December 06, 2010 (KATAKAMI / RIA NOVOSTI) — Russian President Dmitry Medvedev arrived on Monday in the Polish capital of Warsaw for potentially groundbreaking state visit. Medvedev will discuss bilateral ties, including Russian-Polish energy cooperation, as well as European security issues with Polish President Bronislaw Komorowski and Prime Minister Donald Tusk. On Tuesday, Medvedev will visit the Soviet War Memorial in Warsaw before leaving for a Russia-EU summit in Brussels. Medvedev’s spouse Svetlana will also meet with the Polish first lady, Anna Komorowska. The top-level talks in Poland are expected to be “very positive,” Medvedev’s aide Sergei Prikhodko told journalists. “The sides intend to strengthen current positive trends in bilateral relations and create conditions for the improvement of Russian-Polish ties in all spheres,” Prikhodko said. Ties between Russia and Poland, which had been hampered for decades over a range of historical disputes, have improved since the two sides were drawn together in grief after the April 10 plane crash in western Russia that killed Polish President Lech Kaczynski. During the talks, the two presidents are expected to seal several deals, including an agreement on the fight against pollution in the Baltic Sea and on cooperation between the Russian and Polish prosecutor’s offices. Agreements on energy, trade and investment cooperation are also on the agenda. Medvedev and Komorowski will also give their assessment of the probe into April’s tragedy, which occurred when the Polish presidential plane hit trees while landing in thick fog near the western Russian city of Smolensk. Besides Kaczynski, the crash claimed the lives of 95 Polish dignitaries, including the president’s wife, who were on their way to a memorial ceremony in honor of thousands of Polish officers killed by Soviet secret police in Katyn near Smolensk. The State Duma, the lower house of Russia’s parliament, in late November recognized the 1940 massacre as a crime committed by Soviet dictator Joseph Stalin’s regime. Poland welcomed the move. Ahead of Medvedev’s visit to Poland, Komorowski promised to take steps to speed up rapprochement between the two countries. December 06, 2010 (KATAKAMI / KREMLIN.RU) — TOMASZ LIS: Good evening, Mr President. It’s very good to see you. The relations between Russia and Poland can be best characterized by the fact that this is already the second bilateral Russian-Polish visit lately. The situation looks similar to that in the American-Polish relations when it seemed that a button was pressed, bringing about the improvement in relations. My question is as follows: what do you think about the quality of the relations between our countries as of today? And why did Russia’s leaders take the decision to press this relations-improving reset button? PRESIDENT OF RUSSIA DMITRY MEDVEDEV: You know, we would have had to take this decision, earlier or later. As it has been stressed more than once, both in various writings, in media, as well as at the political level, our relations have their own, rather complicated, history that binds our two peoples. This history has both bright pages, and pages of pain and distress. But now it is essential that we leave behind this long-standing, trite historical paradigm of the development of Russian-Polish relations, and try to separate history, whichever it be, from today’s life; otherwise we will forever remain captives of things that had been done before us, and for which the current generation of politicians (as well as the populations of Russia and Poland in general) cannot stand responsible. And yet, we should not forget the lessons taught by history. We should remember the events of the past. The most difficult task is to establish a good balance between holding our history in respect and drawing conclusions from it on the one hand, and avoiding being its captives, on the other. That is why, perhaps, we have been unfortunately failing to achieve this balance until lately. We need to pave the way for the future while preserving, of course, all the best that has bound our countries, our peoples, and searching to give an adequate evaluation to the most severe moments of this history. I am very glad that we have approached, though only in the recent months, the point, which will enable us to rise to a new level, find a new formula of relations between Russia and Poland. I would not like to use such terms as the “reset,” which has gone a bit hackneyed of late. We don’t really need to reset anything. We need to pave the way for the future while preserving, of course, all the best that has bound our countries, our peoples, and searching to give an adequate evaluation to the most severe moments of this history. If we succeed in this, the Russian-Polish relations will see a bright future. They will develop smoothly. And I believe that it serves the interests of our countries and peoples. THOMASZ LIS: Mr. President, I think that the point you have mentioned – the one about our not remaining captives of history either in Russia or Poland, is a very important statement on the part of Russia with respect to its relations with the West, on the one hand, with Poland, on the other hand, and with the European Union. Let us recall the last NATO-Russia summit. Your statement on the issue of the Stalin-era crimes was well received in Poland, as well as the last State Duma’s statement on the Katyn crime. However, due to the level of mistrust that has been growing, the millions of Poles ask themselves, whether the changes that we are facing now are the strategic, the permanent ones or whether these are only tactical and instantaneous changes. How could you comment on this situation? What would you say to the Poles who want to believe in these positive changes? DMITRY MEDVEDEV: You know I am ready to say this to the Poles who want to believe in positive changes and also to all citizens of our country, because if we want the changes to come we do it not only for the Polish people, but also for the Russian citizens. This is a two-way-road. So, I would only like to say that today we can make such decisions that will clear logjams of the past and give us an opportunity to develop our relations in a completely different way. It is up to us and in fact it should be a strategic choice and not a tactical decision aimed at achieving some goals. Do you know what I consider to be the problem in Polish-Russian relations and in some aspects of relations of our country with others? The whole set of historical problems and tragedies. One of them (a really terrible tragedy) is the Katyn tragedy. The whole generation was raised who probably does not know too much about this tragedy. I think that our task in the Russian Federation is to tell the truth about it. I had to provide certain assessments. And I can tell you outright that many people in our country agree with these assessments, though some of them do not. Yesterday, the State Duma adopted a statement on this issue, a very important statement. All this reflects the changes in public opinion. Still, I believe that such changes should take place not only in Russia. In order to move our relations to a new, partnership, future-oriented and strategic level, the public opinion in Poland should also change and the new vision of the new Russia should appear. Only in this case we will be able to bring the positions of social groups, politicians and other social forces together, so that contradictions of the past will considerably grow less. And then those changes that are taking place will actually become serious, strategic changes and not just a condition for reaching the goals. As for my position, it is extremely simple. It is not necessary to consider our relations in a dimension of current considerations. My priorities in the sphere of foreign policy do not include the achievement of some goals for some today’s ends. And it has nothing to do with Poland for sure. First, in my opinion we have really complicated history. And second, I think that we can really change the future of our relations, having a goodwill and confidence from both sides. TOMASZ LIS: Mr President, your position on the Katyn crime is absolutely clear. However another position on the Katyn crime on behalf of the Government of the Russian Federation has been recently submitted to Strasbourg [Tribunal for Human Right]. It was referring to some unknown criminals. I wonder why there is such a difference between your clear stand and this statement. DMITRY MEDVEDEV: Frankly, I do not quite understand what position you are talking about, what the position is like and who expressed it? As for the political assessments, I have provided them all, and you know them well. I spoke about them in the Russian Federation. I spoke about them while answering to journalists’ questions when I visited your country in the days of sadness. It is absolutely obvious who committed this crime and why. Yesterday the State Duma raised this issue once again. Stalin and his henchmen are responsible for this crime. I have relevant documents from the so-called “top-secret folder”. These documents can be found on the Internet and are available to the public with all he resolutions. The attempts to call these documents into question and to say that they had been falsified are nonsense. It is done by those who try to whitewash the nature of the regime established by Stalin in our country in a certain period of time. As regards the formal position, the Russian side has never expressed any other formal positions. Therefore, if you speak about some assessments you just have to follow specific statements on specific cases. What are we talking about? Are we talking about those who made the political decision or those who implemented this decision, these are different issues. TOMASZ LIS: Mr President, I would like to know your sentiment as President and as a human being. What did you feel and how did you react as President and as a human being when you learned that the Polish President died in a plane crash on April 10, 2010? DMITRY MEDVEDEV: Well, I will never forget these minutes. When I heard about the accident (I was in St Petersburg at that time) and when it was reported to me I just could not believe that it might be actually true. First, I thought that there was a mistake. Then after getting several official reports I realized that the accident really happened – it is a terrible tragedy. As President and as a Russian citizen I mourned the death of a great number of people. The death of people is always a tragedy. This tragedy was even more grave and symbolic. The plane crushed in a place of sorrow. Frankly, all these factors certainly created a very heavy atmosphere around this tragedy. Therefore, the first task of the Russian Federation at that time was to demonstrate to our Polish counterparts that we mourn with them and all Polish people. 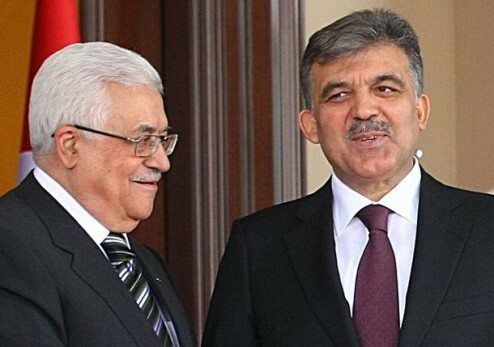 The second one was to say that we are ready to fully cooperate in the investigation of the circumstances of the tragedy, since I knew there will be people who would make the most odd and paradoxical assumptions. It was very important to express our willingness to thoroughly investigate the issue and find out all the circumstances. You know, it was a very painful day not only for the Polish people, which is perfectly natural, or all those who lost their relatives in this dreadful accident, but also for our country and leadership of our state. It was a trial. Honestly, these moments, these feelings will stay in my memory forever. TOMASZ LIS: Mr President, I believe that I am speaking for a million of Polish people saying that the sympathy and mourning expressed those days by you and millions of Russian people were perceived and appreciated with great respect. As you said it yourself, everyone in Poland would like to have the whole accident cleared up. By the way, in Poland there have been some speculations that it might have been a plot. And those pushing that idea forward are not very enthusiastic about certain developments of the investigation. For instance, the Russian authorities deny the Polish access to the information on mandatory procedures applied in Smolensk Airport. It may be, I have no idea. Certainly, it is just a mere detail but it still creates some mistrust. DMITRY MEDVEDEV: I have my own view on how we proceed with our cooperation on the accident. 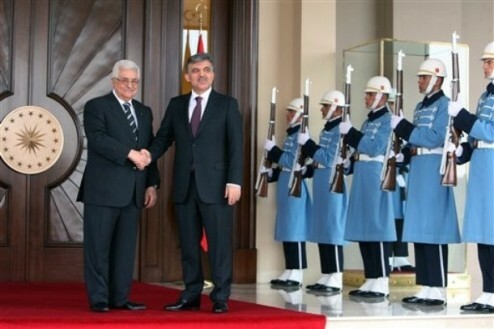 I believe this kind of cooperation has pushed our relations forward very much. Indeed, it is a moment of great sorrow, a painful moment that led to this cooperation. But nevertheless it helped to demonstrate Russia’s good intentions. As I said when that had happened, I naturally had a thought that we should clarify the situation as much as possible to erase every doubt, even the one of victims’ relatives or, say, people who were not very fond of Russia. It should be crystal-clear for everybody in Poland. 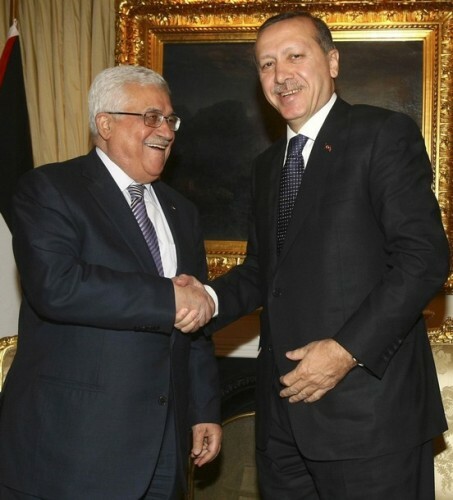 And, in my view, the cooperation in the field is at unprecedented high level anyway. It includes cooperation between law enforcement agencies, prosecution departments, our aviation authorities, and cooperation within the Interstate Aviation Committee. Although we have had some technical difficulties – and they usually do exist – which could be interpreted differently by the sides, we have seen no significant contradictions. Certainly, efforts of different authorities could be interpreted differently depending on the circumstances. But I would like to reiterate that our specialist got all the necessary instructions. It does not mean that some minor mistakes are not possible. And if so, we should work together in a friendly way to address them. When it happened – if we look back – I remember that after coming back to Moscow from St Petersburg I called Marshal of the Sejm, Mr Komorowski, today’s Polish President, and said that we mourned with the Polish people and were ready to take any efforts to conduct investigation. Naturally, the investigation of such accident is traditionally pursued at two levels, i.e. in Russia where the accident or tragedy occurred and at the international level within the efforts of the Interstate Aviation Committee. In my view, both of them are progressing normally. The Interstate Aviation Committee has already made its conclusions. And I think all of them should be brought to the attention of all the parties concerned. Those conclusions should be made public to the last detail: events and their timing, records of the air crew communications with flight dispatch centre and flight operation officers, decisions made and what influenced the decision-making. There are plenty of interpretations of it as well. Some of them, to be frank, are rather frustrating. Surely, I am not making comment on any of those interpretations. First, I am not conducting the investigation, and second I have no moral right to do this now. However, we must build up the complete picture of the accident with all the conclusions for the Polish people and the Russians as well, and create conditions necessary for this. In my view, in this respect the Russian side has already done its part of the way. And frankly speaking, there was not a single case when someone would call me and ask: “We have no instructions whether to provide this piece to the Poles or not.” From the very beginning, it has been stated that all the materials are to be provided to the Polish side, first, for the reason that the Polish people lost their President and most of their elite, which is a national tragedy. Second, if we hold back a mere piece, it will be the source of tension in our relations for decades. In this respect, I reiterate we have done all that has been needed. TOMASZ LIS: Mr President, both the West and the East perceived the Lisbon summit, in which you participated, as a crucial turning point in relations between Russia and NATO, as well as between Russia and the West. Do you consider it a milestone meeting or do you believe that in the long run it might turn out not to be quite so? DMITRY MEDVEDEV: It is all in our own hands. This summit can be historic, and so it actually was in terms of spirit and atmosphere, especially given the situation we were facing two years ago. Yet it could turn out to be a meeting that did not live up to the expectations. We succeeded in resetting (as it is common to say although, and I am repeating it, the use of this term has become a bit tedious) relations between Russia and NATO. Earlier we did the same for our relations with America. We have established cooperation in addressing some current challenges, such as the Afghanistan issue, anti-drugs fight, terrorism, threat to maritime security (piracy in other words), fight against proliferation of weapons of mass destruction. However, apart from these problems there exist some issues that can unite us even more. One of them is missile defence system in Europe. I would like to recall the developments of the year 2008. The previous US Administration suggested a well-known idea of deploying missile-defence interceptors and radars in Poland and the Czech Republic, which was a much-debated issue. In our country this idea was perceived as an idea aimed at weakening military capabilities of the Russian Federation: according to our experts the third positioning area was created to respond to launches from the Russian territory and not with regard to some other countries that pose threat to NATO. We have brought our position to the attention of NATO. At some point the situation became so serious that I had to take an unpleasant decision to deploy additional missiles. Consequently, the new [US] Administration abandoned its decision, which was the right thing to do. You know, I am going to say something, which I hope will not offend our friends and my US counterpart. I told President Obama frankly that the foundation we were building would be of greater importance for the situation that all of us would face in 10 years when the four-stage missile defence system would have been finally set up by 2020, and not for me and for him as politicians. Thus, this will be either a joint Russia-NATO initiative that will shield us from some potential threats, or, in case Russia fails to find its place in the system, by 2020 the situation can develop in such a way that the corresponding missile defence “umbrella” will be considered to be an element destabilizing nuclear equilibrium and weakening Russia’s capabilities of ensuring nuclear parity as long as nuclear weapons exist. The second course of events might cause by 2020 another cycle of arms race. And we would really loathe this. This is why at the Lisbon summit I voiced the idea of sectoral responsibility of states within missile defence in Europe. And I expect my partners, the USA as well as other partners within NATO, to study thoroughly the idea of the Russian Federation. TOMASZ LIS: Mr President noted a change in the US position on the ABM defence issue, which is true, but Russia too has radically changed its stance in this regard: as recently as 10 months ago the Kremlin made a statement describing NATO as a principal threat. What are the causes of these changes? DMITRY MEDVEDEV: You know, as regards our defence doctrine, this citation is not correct. Our defence doctrine does not say that NATO represents a principal threat. It says something different, namely that an uncontrolled NATO expansion could lead to destabilisation of the international situation. You should admit that this is not the same, these are absolutely different things. Therefore, we believe that Russia and NATO can have normal, partner, good-hearted relations. We already maintain good relations in various dimensions. If we come to agreement on the ABM defence this would mark a breakthrough in our relations for the future. I would like to reiterate that I have great hopes in this respect. As for the position of NATO itself it should be noted that the strategic concept adopted in Lisbon also states that NATO does not threaten Russia, which, too, represents a shift in the paradigm of our relations. Certain developments, and you are right in this regard, take place very rapidly but this does not mean that we should not benefit from favourable changes. When we see that changes have accumulated to bring about a jump-like progress in these relations it would be a fault not to take advantage of the situation so that in 2020 we would not feel shame for what has been done earlier. TOMASZ LIS: Mr President, Prime Minister Putin declared a desire to create a special zone in Vladivostok. DMITRY MEDVEDEV: Not a special zone. This is an incorrect translation, I believe. You are re-referring to an economic space from Vancouver to Vladivostok. Am I right? TOMASZ LIS: Yes, you are. And it is natural, that this was done in Berlin because the German position in this respect is very positive and interested. In the context of this new space, what is your vision of economic relations between Russia and Poland since the Nord Stream project has been considered to be political rather than economic? DMITRY MEDVEDEV: I am looking back to the beginning of the 1990s. I was a young lawyer at that time. Russia and Poland have gone through transformation of their social organisation and economic structure. Polish businessmen, not with large businesses as a rule, came to St Petersburg from time to time in order to develop relations with Russia. I remember the mini-lectures I gave to these business people on Russian legislation, primarily civil and commercial, within the framework of the St Petersburg Chamber of Commerce. At that time, I believed that our economic relations would be bright. But the developments over the past decades have proved not to be as easy as that. And in respect of our economic relations, for example, we have much to do in this field, even if we set aside politics, normalisation of relations between the two states in general, and their future development. In order to make such relations full-fledged and meaningful, alongside with relations with small and medium businesses, major projects are very important. This is of great significance, too. What are these major projects? They include also power projects. You know, one could certainly describe the Nord Stream as political project. But if the diversification of energy supplies in Europe and guaranteed supply of energy resources from Russia means policy, then this project is a political one. However I believe that in this case we act on the basis of mutual interest. Russia is interested in selling its gas and selling it to as many consumers as possible. European countries are interested in getting and processing respective energy resources including gas as well, to heat houses, launch new projects and enterprises. There is no special politics here because this is mutually beneficial. But there is policy here since this is a major project requiring political consent of many states. It is only natural that the Nord Stream gas-pipe line project was declared a Trans-European, special and priority project. And in my relations with European leaders I proceed exactly from this assumption. Our task, the task of the Russian Federation, is to shape, on the basis of this project, a new economic environment for relations between our countries, for relations between Russia and the European Union. 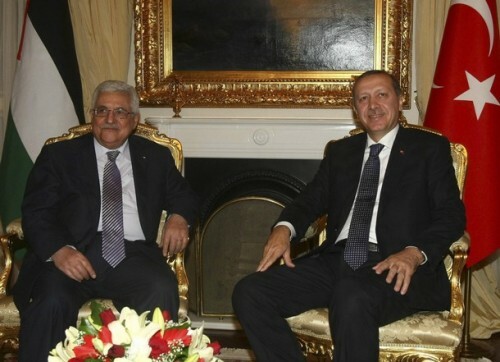 I would like to recall that the European Union is our major partner. Our trade turnover exceeds 200 billion euros a year and will undoubtedly grow. We are very important partners. But our partnership is based on a whole number of projects. Therefore, certain efforts to describe the Nord Stream or South Stream as Moscow’s attempt to make Europe dependent on Russia’s energy look like an unfair and a completely unjustified manipulation. Finally, these are mutually beneficial and in my view absolutely depoliticised things. TOMASZ LIS: In Europe and Poland they see your presidency in Russia as a serious modernisation endeavour too. This modernisation can become a reality if Russia consistently builds a state of law and respects civil liberties. What do you think is the most important, what is absolutely necessary for the civil society creation in Russia? DMITRY MEDVEDEV: I am deeply convinced that democracy is closely connected with the economic situation. And if we want Russia to become a modern democracy – I mentioned many times that we have just started to create fundamentals of democratic mechanisms in our country – we have to have a modern, strong, streamlined economy, based not on oil and gas only, while they are very important elements of our economic well-being. Our economy should be based on innovations, new technologies. Fortunately, we have all that is necessary for that – we have abilities, we have the desire to do that. At the same time to create a modern economy we need to have in our country a modern political mechanism ensuring, securing the fundamental rights and freedoms. That is why the process of modern economy, efficient economy creation as we like to name it, and the process of efficient state creation based on the rule of law are tightly linked processes. I have just mentioned that the democracy cannot be built in a poor state, I am absolutely sure of that. But at the same time it is impossible to create a modern developed economy in a dictatorship environment, whatever you may sometimes hear in this connection. From time to time I hear advices: “It is better not to do anything, the economic situation needs to be changed completely and only afterwards one should improve political institutions and ensure the freedoms.” It is wrong. We cannot reform our economy without changes in the political system. For some countries it can be considered as a possible way, but not for Russia. Why? Because a significant portion of our society, of our people identify themselves with Europe, with values which came to us from Europe – religious, moral, and political values. That is why both these dimensions – building a modern developed economy and a developed political system – should be synchronized. How to achieve that? It is a special and very challenging task. That is what we are doing now. TOMASZ LIS: Mr President, I have a tough question to ask. It is a litmus test for the Western countries to know where Russia is now in the process of building a rule-of-law state. This question stirs a lot of thoughts. We cannot talk of economic crimes alone. Do you believe it is possible to address common law crimes alone or economic crimes as well, to develop economy and fight economic crimes at the same time? DMITRY MEDVEDEV: The translation is not very good. I sort of have the very basic idea, so I will try to give an answer. Where are we now in the process of building a rule-of-law state? I have no illusions about that. We are still at an early stage of this process. We are not the only country, however, which faces challenges in building a modern rule‑of‑law state. I have repeatedly explained my views regarding the main challenges in turning our country into a rule-of-law state. Today’s economic or political realities are by no means the only problem we are facing; we should not overlook our own history, the so-called legal nihilism that was largely present in our state a century or even two centuries ago. It is true that we have had no democratic tradition at all. Democracies cannot be built in a few years. Our country enjoyed no democracy until 1991, when the modern Russian state came into being. No democracy, I stress, – either in the tsarist Russia or in the Soviet Union. This is a difficult process. I would put it straight: for various reasons, the democratisation process runs more smoothly in smaller countries; smaller in terms of size and territory. And it is much more difficult in countries like Russia. So I have no illusions about the lengthy way ahead of us. This does not mean, however, that we have done nothing during the past twenty years or ten years in particular. In my view, we have considerably strengthened both our government system and our legal system. I hear sometimes, “You have overblown your government, it has become very rigid and cumbersome, and it is in charge of everything.” This may be the case in some aspects, and I will not contest this opinion. On the other hand, however, the rule of law is impossible unless the law has its foundation in government. From a lawyer’s point of view, any legal system is supposed to function through government institutions. However, if these institutions are in a state of collapse, which was the case in Russia in the 1990s, no rule of law is possible. A weak state means a weak system of law. This should be kept in mind especially dealing with such enormously big country as Russia. Speaking of criminality, crimes may be of various kinds both in Russia and in other countries, the European Union or Poland. There are other crimes that are not economically motivated; there are politically driven crimes or crimes motivated by extremism. I think no one will question that certain crimes are committed in order to achieve political goals and not some personal profit. In fact, attempts to portray all crimes as purely economic ones or political ones are doomed to failure. I will recall that in the times of Stalin, any economic crime, most of which were actually fabricated, was treated as a political crime, as an offence against the Soviet public order. In fact, the same was true for Poland at a certain period of time. Any bribe, any other illegal act or any theft was considered to be a political crime against the state. This must not be the case; you have to take other criminal assaults into account as well. We have a lot of problems, and everyone is aware of them. We witness a rather complex situation in the Caucasus; not only economic crimes but also infringements on life and health of people take place there, motivated by extremist, not domestic, reasons, whereby people’s life and health fall victim to certain religious or pseudo-religious political attitudes. You cannot turn a blind eye to this. I would like the Russian Federation, our Polish friends and members of the European Union to apply uniform approaches to the above-mentioned situation. It is encouraging to see that our voice has become louder in the recent times. Let us be honest: a mere eight years ago we were told that those who we dealt with in the Caucasus were actually rebels, guerrillas fighting for their independence. After 9-11 and other incidents, our US and European partners acknowledged, however, that those people were terrorists receiving money from Al Qaeda and other terrorist organisations. It has taken some time to arrive at that point. I think that we have to heed each other’s opinions in this regard; this is highly important for Russian-European relations in general and Russian‑Polish relations in particular. TOMASZ LIS: Mr President, I would like to put a question, even if I am not so optimistic to expect that you will answer it. Do you intend to pursue a second presidential term? 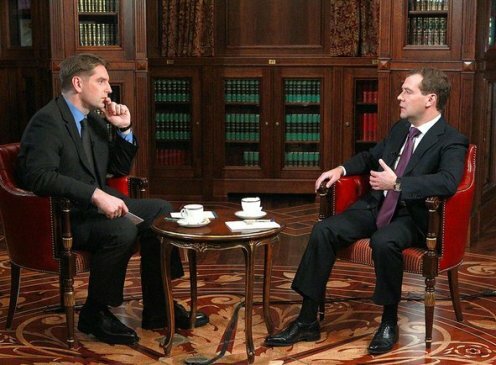 DMITRY MEDVEDEV: There is no way for me to avoid your question. Still, I suppose you are not so optimistic to expect to hear from me that I intend to announce today my candidacy for president as far as the election process has not been launched yet. I repeat what I have already said: if the situation in this country is normal and stable, if I enjoy an appropriate support from people, I do not exclude this possibility. However, such things are not divulged in advance even for so-called superstition reasons that people refer to sometimes, not to mention political practice considerations. This is to be done at an appropriate time, when it has to be done. Some of my colleagues could also take part in this political process. Therefore, I believe that the most important thing is to preserve in any circumstances the continuity of power and policy. As for me, I do not naturally exclude such a job– it is a normal thing for any politician. Now let me say another thing. I am looking forward to visiting Poland. It is a long-awaited visit for me. Firstly, because President of Russia has not visited Poland for a very long time. Secondly, many new things have emerged in our bilateral relations. We have gone through hard times; there was a tragedy near Smolensk. At the same time, we witnessed some positive developments. And now, an unprecedented intensity of our consultations, openness in our dialogue and assessments we have made, all this, I believe, create quite a good background for the visit to be a success. I expect that my colleague, President Komorowski, has the same understanding. 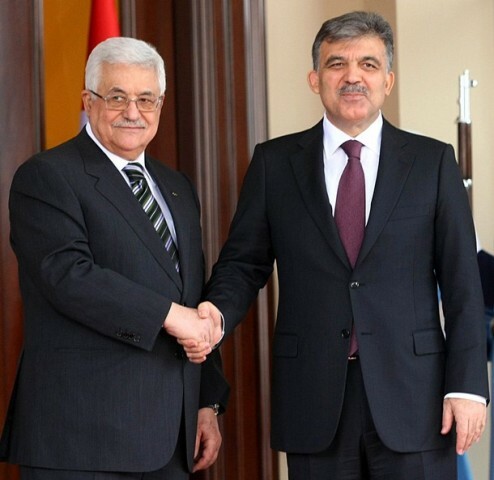 Our personal relations are good enough and quite constructive; we met many times and discussed various subjects. Therefore, I would like my visit to transform these quantitative, small but important changes in Russia‑Poland relations into qualitative ones. Anyway, from my part I will do everything necessary for that. TOMASZ LIS: Thank you very much indeed, Mr President, and I thank you as well for answering some thorny questions and making time to meet with us. December 06, 2010 (KATAKAMI / RIA NOVOSTI) — Italy is ready to buy a significant number of Russian-made Sukhoi Superjet 100 medium-haul airliners, Russian Prime Minister Vladimir Putin said on Monday. “This is our first civil aircraft… which corresponds with the most recent civil aviation requirements, and our Italian partners are now ready to buy them in quite large numbers,” Putin said during a United Russia party congress in the Far Eastern city of Khabarovsk. 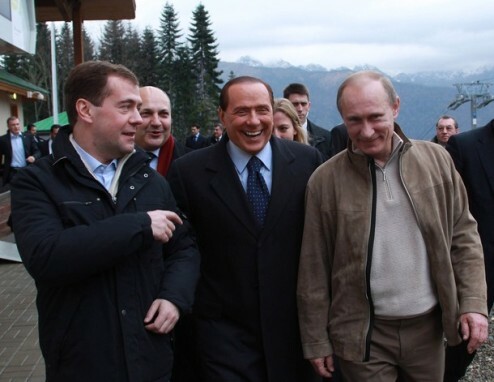 Italian Prime Minister Silvio Berlusconi, accompanied by Putin and Russian President Dmitry Medvedev, inspected a Superjet aircraft in Sochi last Friday. The plane arrived in the southern Russian city on a test flight from northern Siberia’s Yakutsk. 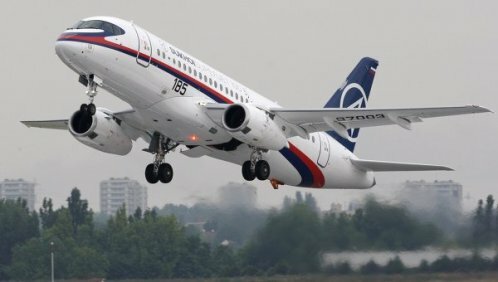 The Superjet 100 is a family of medium-haul passenger aircraft developed by Sukhoi in cooperation with U.S. and European aviation corporations, including Boeing, Snecma, Thales, Messier Dowty, Liebherr Aerospace and Honeywell. The aircraft is capable of carrying 75-95 passengers to the distance of up to 4,500 kilometers. Currently, there are 17 SSJ 100 aircraft in production at different stages of completion. 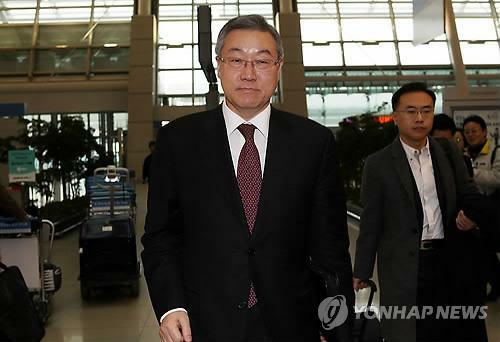 SEOUL, Dec. 5 (KATAKAMI / Yonhap) — Foreign Minister Kim Sung-hwan left for Washington Sunday for talks with his U.S. and Japanese counterparts on how to deal with North Korea, which has ratcheted up tensions with an artillery strike against South Korea and revelations of a new nuclear facility. Kim is scheduled to hold a three-way meeting Monday with U.S. Secretary of State Hillary Clinton and Japanese Foreign Minister Seiji Maehara to discuss the North’s shelling of the South’s Yeonpyeong Island and the worsening standoff over Pyongyang’s nuclear programs. Kim also plans to hold bilateral talks with Clinton. “How to draw cooperation from the international community and neighboring countries in dealing with the North’s attack and its uranium enrichment program and, particularly, how to cooperate with China will be the focus of the meeting,” Kim told reporters at Incheon International Airport. The North’s Nov. 23 strike on a fishing village killed four people, including two civilians, and wounded 18 others. It was the first time the North has bombarded South Korean soil since the 1950-53 Korean War, though the sides have fought naval skirmishes and border gunfights. The shelling came on the heels of revelations that North Korea is running a facility to enrich uranium, a fissile material which, if highly enriched, can be used to build atomic bombs. The uranium program gives the North a second way of making nuclear weapons after its existing program using plutonium. The three top diplomats are also expected to discuss a Chinese proposal that members of six-party nuclear talks meet in early December to discuss defusing heightened tensions. The nuclear negotiations bring together the two Koreas, China, Japan, Russia and the U.S. 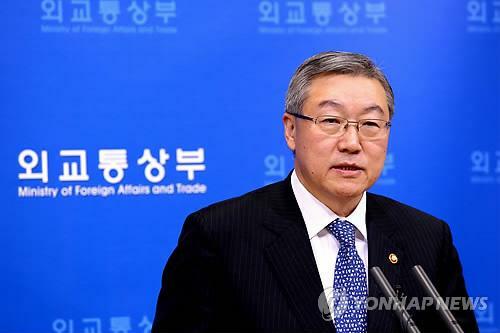 In response to the offer, South Korea reiterated its existing position that North Korea should first demonstrate its denuclearization commitment through action, saying laying the groundwork for progress at the talks is more important than just rushing into talks for talks’ sake. Washington and Tokyo have shown similar responses. South Korea, the U.S. and Japan have been calling on Beijing to use its leverage over North Korea to discourage the belligerent regime from provocations. China is considered to have the strongest influence over Pyongyang as the impoverished nation’s biggest provider of food and energy aid as well as diplomatic support. But Beijing has been unwilling to wield that influence over concern that instability in the North could hurt its economic and political interests. Another topic that could be discussed at Monday’s talks is the possibility of censuring North Korea at the U.N. Security Council for the artillery shelling that officials said violated the U.N. Charter and other peace agreements. South Korea has been cautious about bringing the North’s attack to the Security Council due apparently to difficulties in winning support from China, one of the five veto-holding permanent members of the Council. But such efforts could speed up as the U.S. has taken over the rotating Council presidency in December, and Russia, another permanent member, is likely to support the move given that Moscow has condemned the attack. 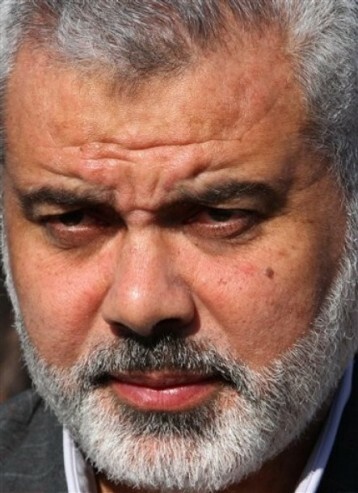 Gaza City, Dec 5 (KATAKAMI / NEWKERALA.COM) — The de-facto Palestinian Prime Minister in Gaza, Ismail Haniya said Sunday that the massive forest fire in northern Israel was a “strike from Allah”. Commenting on the fire in Israel, which killed 41 Israelis and burnt more than 50 square km of forest, Hamas’ Haniya told reporters as he joined emergency prayers in Gaza City to ask for rain that “those fires are divine strikes for what they (Israel) did”. 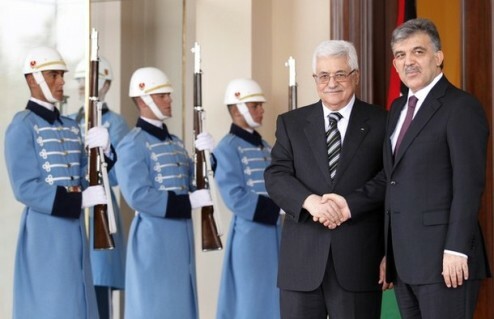 He expressed hope rain would fall in the Palestinian territories struck by an unprecedented dry season. Meanwhile a prominent Israeli spiritual leader and the guru of the ultra-Orthodox Shas party, Rabbi Ovadia Yosef, said in his weekly sermon late Saturday that according to the Talmud, fires erupt only in places where the Sabbath is desecrated. He called the fire on Haifa’s Carmel Hill terrible, but argued it proved the need to return to Judaism and observe the Sabbath.